The issue of inactive subscribers affects practically every business that depends on a mailing list. In fact many surveys indicate that these dead subscribers often outnumber active subscribers. What is worse is that most organizations ignore their inactive subscribers by treating them as a necessary evil. They make no effort to implement any strategies to re-engage this clout. This is an unforgivable mistake since e-mail subscribers are more ‘qualified’ than the average person who ends up on your site by clicking on its search listing. First of all, you need to identify your inactive subscribers using an analytic tool. After you have isolated subscribers that have stopped opening your mails for the last few months like six or even twelve, start sending them mails to re-kindle their interest. Send them relevant content, sales offers, discount codes, surveys or even free gifts that are subject to completing a survey based on their past interaction and purchases on your site. Alternatively, you could send them an e-mail that allows them to decide how frequently they receive mails, their e-mail IDs, type of content they receive and other preferences. If they still do not respond, then start sending e-mails that require recipients to click on a link to continue receiving e-mails from your website. Chances are that you will lose a fair number of e-mail subscribers which might seem a bit counter intuitive at first. However, this is a good revenue-saving move since you will no longer be sending newsletters to subscribers who are genuinely not interested. Trimming your e-mail list is almost as important as expanding it. A simple message like “We miss you” in the subject line of your e-mails can go a long way in re-engaging your inactive subscribers. If you are sending them mails with special promotional offers, include a line to let them know that you have noticed that they have not visited your site in a while. You can even ask them why they have stopped visiting your site and solicit feedback. Better still, conduct a split test to see what works best. Essentially, you need to make your subscribers feel valued and appreciated which is a lot harder than it sounds. Nevertheless, this is one of the most effective strategies when it comes to re-engaging your dead subscribers. An age-old truth pertaining to SEO is that informational content performs better than advertisements. This holds true for e-mail newsletters as well. This is why constantly sending sales content to your e-mail recipients is bound to backfire if you do it too often. Instead of sending out sales e-mails all the time, you must keep varying the content of your e-mail copy. Start by segmenting your subscribers based on their past activities, areas of interest, and purchases on your site. Then send them informational content that they will find relevant. Apart from informational copy, you can also include great blog content, recent news items, or links to webinars. Giving your subscribers the chance to enter free give-aways and online contests has the same effect. To put it simply, if you send too many e-mails asking your subscribers to make purchases on your site, they will just start ignoring your mails. As long as you keep things fresh, they will keep coming back. Very often people stop responding to e-mails if they are no longer relevant to their circumstances. To remedy this, you need to split your subscribers into multiple groups and start building online profiles on the basis of their purchase history and online behaviour. Now that you have this information at your fingertips, create a re-targeting campaign and begin sending your subscribers targeted offers and product recommendations. It goes without saying that customized content always outperforms generic sales pitches. Try to tell your subscribers about these offers and recommendations in the subject line itself if possible. This is one of the most common yet overlooked reasons behind inactive subscribers. 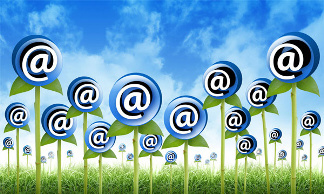 People receive dozens of commercial messages in their inbox on a daily basis. If you keep sending promotional content, your subscribers will simply stop responding to your e-mails and leave them unopened. Firstly, stop spamming your subscribers with sales pitches. Secondly, start sending them a variety of content in your e-mails. If they still do not respond to your newsletters, then you could consider reminding them of how unique your brand is and the multiple ways in which they would stand to benefit from your newsletters.